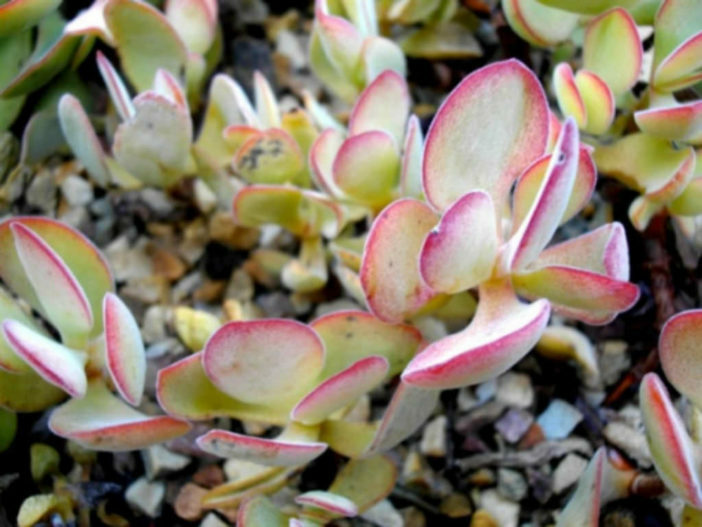 Crassula atropurpurea is a small, perennial succulent plant, up to 24 inches (60 cm) tall, with leaves evenly spaced along erect stems. 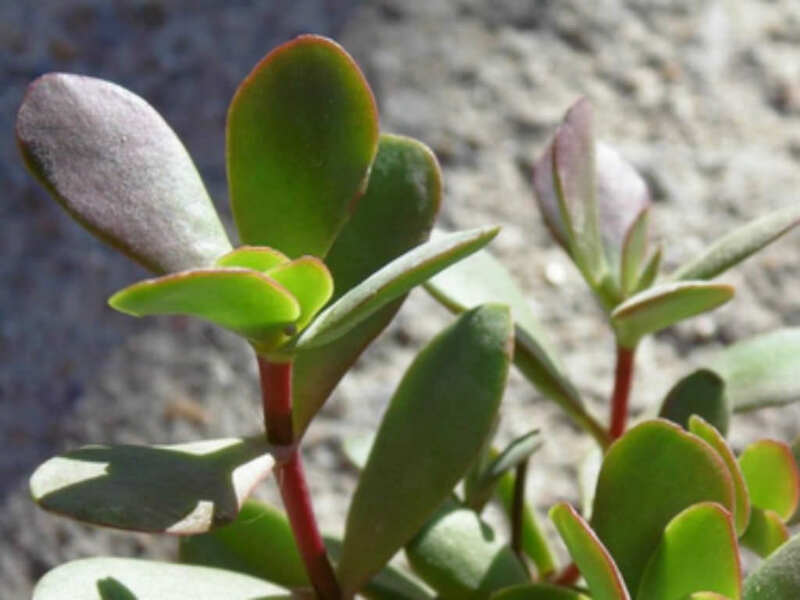 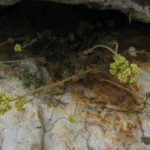 The leaves are succulent and partially waxy to the touch. 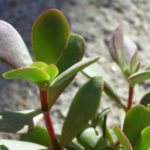 The leaves are obovate-linear in shape and are flushed purple especially in summer. 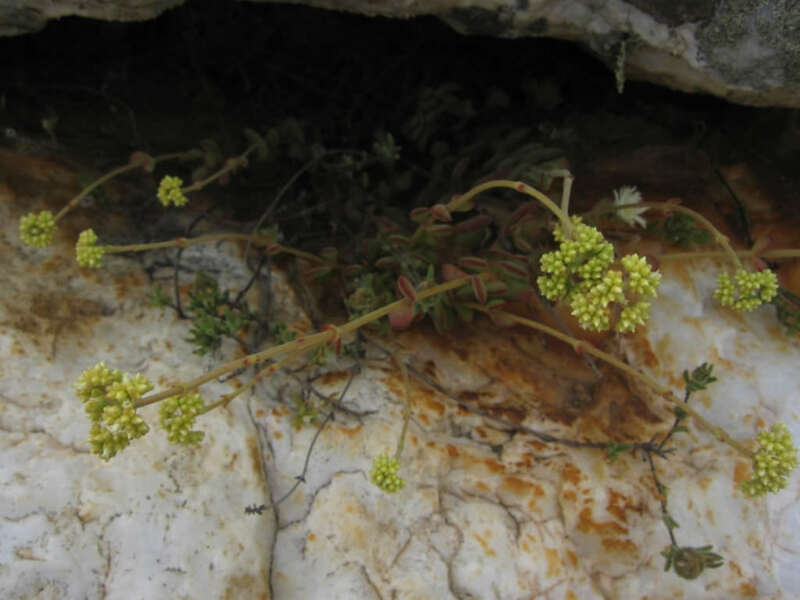 The individual creamy yellow flowers are produced on long, flowering spikes.